Published: March 24, 2014 at 05:21 p.m. Updated: March 24, 2014 at 05:50 p.m. The trend of third-year wide receivers making a statistical splash is well known among fantasy fans. However, more second-year wideouts are now breaking out across the league. That's been obvious in the emergence of players like A.J. Green, Julio Jones and Josh Gordon in recent seasons. So, which wideouts are most likely to follow this trend in 2014? Here are the top receivers entering their second pro campaigns. Hunter showed some serious statistical potential late in his rookie campaign, posting two games with 100-plus yards and a touchdown. A playmaker who should benefit from the presence of new coach and offensive guru Ken Whisenhunt, Hunter should see a bigger role in the Titans pass attack and is a player to watch during training camp and the preseason. He'll be on the late-round radar in most 2014 fantasy drafts. Wheaton was mostly invisible on the stat sheets during his rookie season, but that is almost guaranteed to change in 2014. With Emmanuel Sanders in Denver and Jerricho Cotchery in Carolina, the Oregon State product is a virtual lock to move up the depth chart and start opposite Antonio Brown. As long as Wheaton looks good in camp, he's going to be on the radar as a deep sleeper in most fantasy football leagues. Wide receivers out of Southern California don't have the best track record for NFL success, but Woods is still an interesting option in fantasy land. He's a virtual lock to start once again in his sophomore season, and the experience he gained in 2013 will no doubt help his chances to improve on the stat sheets. Keep Woods in mind as a potential late-round flier as a No. 4 or 5 fantasy wideout with some upside. Stills showed some potential as a rookie, and he's a good bet to see a bigger role in the Saints' offense this season with Darren Sproles and Lance Moore out of the mix. A playmaker who can hit a home run on the deep route at any time, Stills' value benefits from the presence of superstar quarterback Drew Brees in an offense that should be explosive. He has late-round appeal as a WR4/5 with statistical upside. Austin led all Rams wideouts in receptions last season ... with 40. That's not saying much, but it does leave a whole heck of a lot of room for improvement. The speedy playmaker from West Virginia will have more value with Sam Bradford back under center, but he can't be drafted as more than a No. 4 fantasy wideout until he proves to be more consistent. Look for him in the middle to late rounds in most drafts. Dobson, who is coming off surgery to repair a stress fracture in his left foot, is expected back in time for training camp. The Patriots do have quite the crowd at wide receiver with Julian Edelman, Danny Amendola and Brandon LaFell in the mix, but Dobson possesses more upside than any of them. If he can earn a prominent role, he's going to emerge as quite a popular sleeper in fantasy football. Hopkins showed some flashes of potential in his rookie season, posting 52 catches for 802 yards. He found the end zone just twice, though, and ranked an unimpressive 51st in fantasy points among wideouts. The Clemson product still has oodles of upside, though, and is a good bet to post closer to 1,000 yards in the offense of new coach Bill O'Brien. There's a lot to like about Hopkins going into the 2014 campaign. If Cordarrelle Patterson is super sophomore sleeper No. 1 at the wideout position, Williams is No. 1A. With Miles Austin out of the picture, the Baylor product is locked into a starting role opposite Dez Bryant. That's a nice spot for a receiver to thrive. Williams will also benefit from the presence of new coordinator Scott Linehan, who loves to throw the football. He possesses WR2 potential for fantasy leaguers this season. If you're looking for a major second-year sleeper, look no further than Patterson. 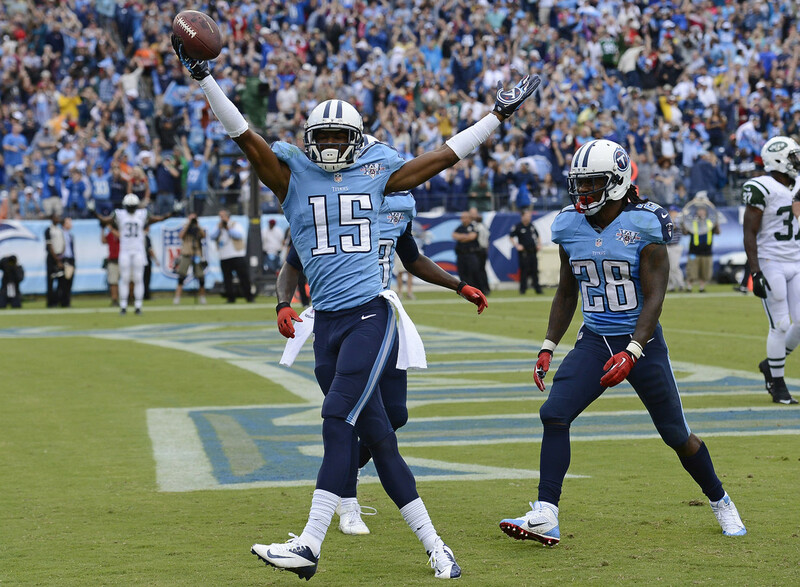 The Tennessee product showed flashes of potential as a rookie, finishing first in fantasy points among wide receivers over the final four weeks of the 2013 campaign. With new coordinator Norv Turner at the helm, Patterson is a sure bet to emerge into the top option in the pass attack. He has WR2 upside in standard and PPR formats. Allen isn't unknown after posting solid numbers across the board during his rookie season. In fact, he finished 17th in fantasy points among wide receivers as the top option in the pass attack for quarterback Philip Rivers. While a sophomore slump is always feared in sports, Allen will be tough to pass on as a borderline No. 2 or 3 fantasy option this year. He'll come off the board somewhere in the middle rounds.